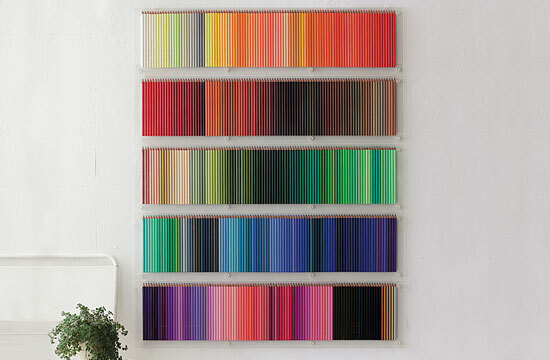 Social Designer's 500 Pencils - stored. just gorgeous. i'd hesitate to actually use any pencils, though - wouldn't want to upset this work of art! 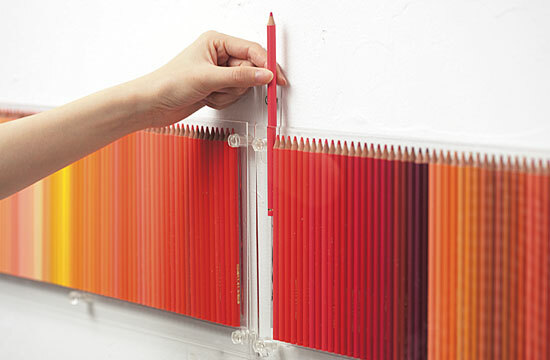 Do you know where to buy the Gradient Storage pencil Organizer or how to make it? These were custom displays made for a competition. I think it would be a pretty simple DIY, but you'd probably have to get the plexiglass cut to a custom height. Good luck!